Going to Vegas isn't complete without a trip to Jean Philippe Patisserie at the Bellagio! 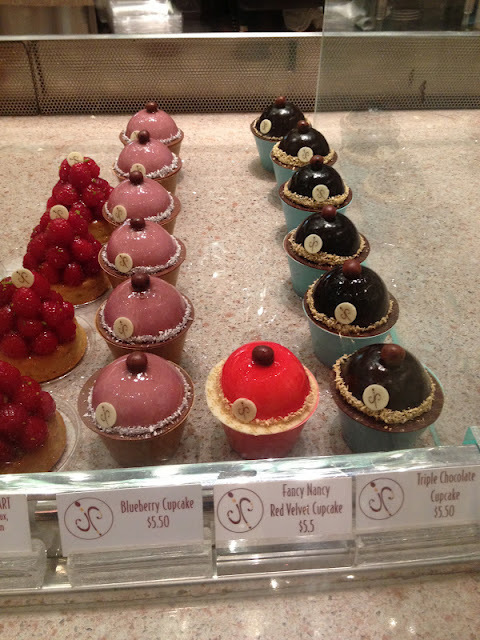 If you guys haven't been to Vegas before, Jean Philippe Patisserie is a European style pastry shop filled with overflowing sweet goodies and treats. 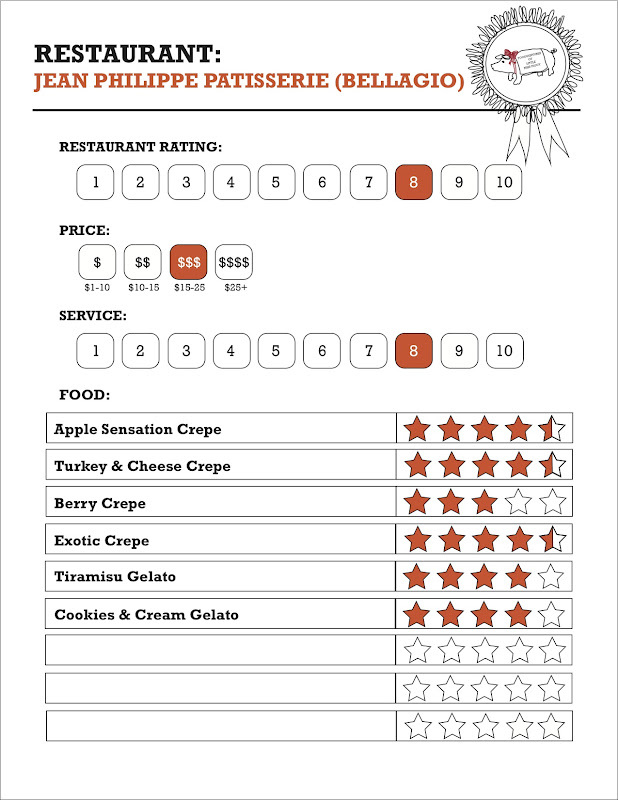 This pastry shop not only specializes in chocolates and pastries but also different kinds of crepes, gelato and much more. From the ingenious mind of Jean Philippe himself, Jean Philippe Patisserie also houses the largest chocolate fountain in the world! 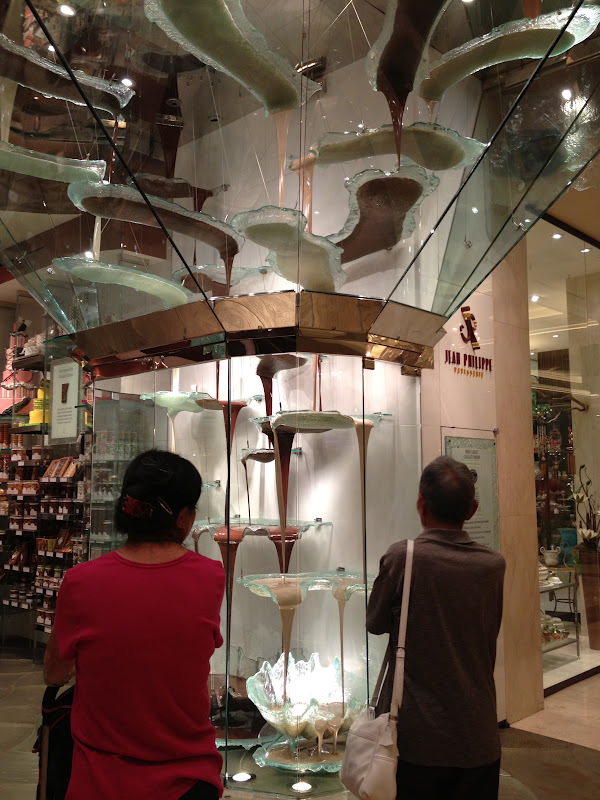 Imagine a fountain that drips different kinds of melted chocolate from the ceiling! It's quite an attraction to see when your in Las Vegas especially if your a chocolate fan yourself! 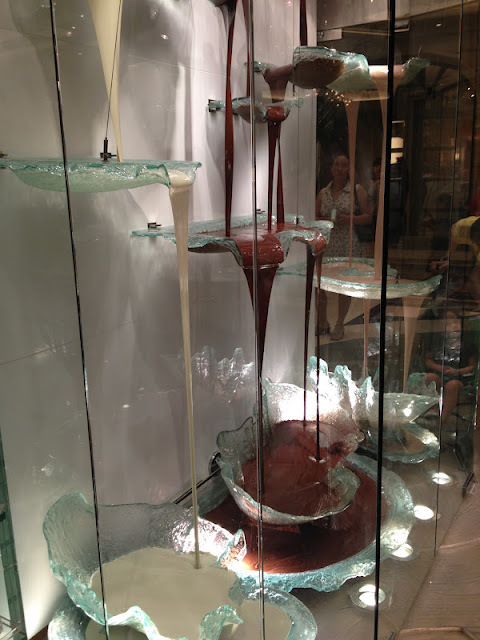 But don't forget.. there are two Jean Philippe Patisserie branches here in Las Vegas, one in Aria and another one in the Bellagio (which houses the chocolate fountain) so if you want to get a glimpse of the infamous chocolate fountain, you have to remember to go to the right hotel! Also, you wouldn't believe how much people go to Jean Philippe every single day! There's always a huge amount of people waiting in line just for their gelato, pastries & crepes. 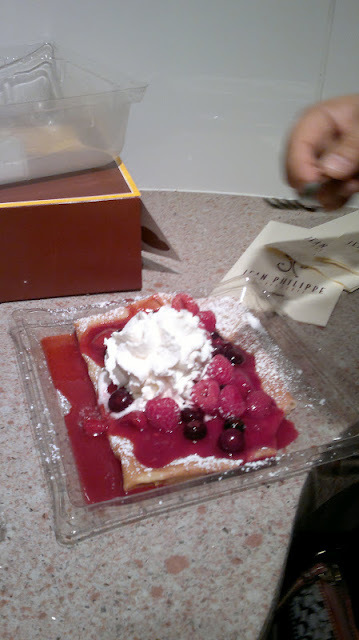 What I like about this place though is that they open early and they close late (Monday - Thursday: 7am - 11pm Friday - Sunday: 7am - midnight) so if your looking for somewhere to go for a quick bite to eat or for a late night dessert/snack, Jean Philippe Patisserie is a great place to go to! 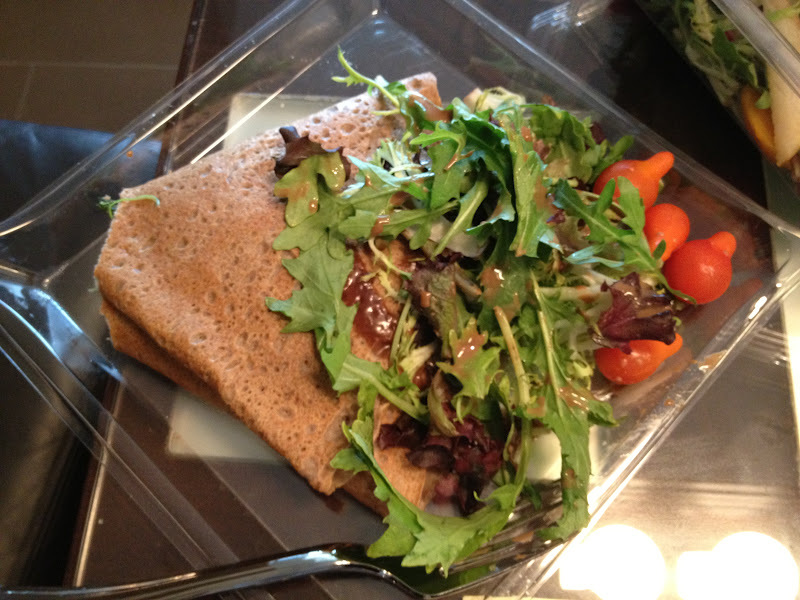 Apple Sensation Crepe: one of our favorites here! I think it tastes better with vanilla ice cream. When you combine all of the components together, it tastes almost like an open faced apple pie, only lighter. Turkey & Cheese Crepe: Heavier than their other crepes because the filling is actually inside. It had the right amount of turkey and cheese so the cheese didn't over power the entire crepe. I also really liked how it came with a salad on the side but instead of eating mine separately, I actually just got a little bit of both and ate it at the same time. Berry crepe: It had a mix of sour and sweet from the berries.. it was okay. 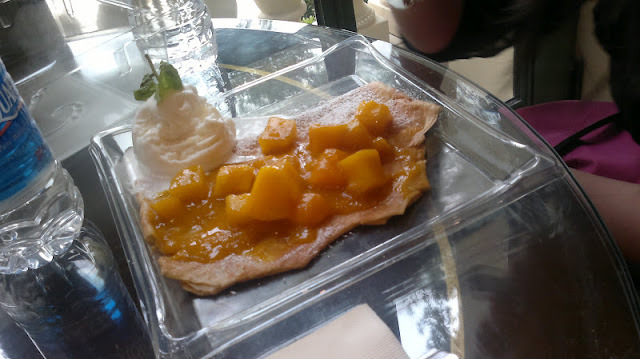 Exotic Crepe (served with coconut ice cream): Super loved this one too! The topping reminds me a lot of marmalade but when you eat it with the coconut ice cream, it actually tastes very refreshing. Sweet and refreshing!